Fortify Yourself: If supermodels can age, so can we! If supermodels can age, so can we! I'm really looking forward to seeing this documentary by Timothy Greenfield-Sanders - About Face: The Supermodels, Then and Now. It's true. Sometimes I feel like I am just the Mum tagging along with my daughters, while they live their lives and I just support that life. Ridiculous really because my girls are still very young, and I am guessing that the 'support act' feeling will only increase with time. Although I was never a super-model (do dreams count?) I think these ladies who are 'past their prime' probably have a the best sense of what it is like to be overlooked for a younger model. 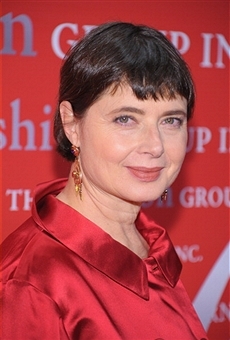 Isabella Rossellini is still one classy looking lady, and in my books that counts for so much more than a dewy complexion and flat abs. Paulina Porizkova is still DIVINE! 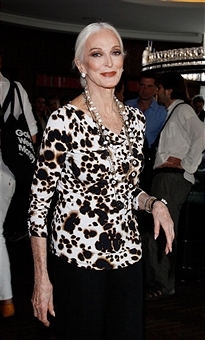 And, Carmen Dell'Orefice is still my favourite! PS. I think we now know why Kristen Stewart was looking so unwashed and haggard in the photo below. * Pics of the lovely ladies are from Getty Images. 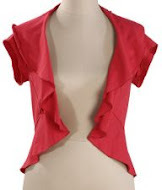 Am I over the fashion hill?